Do You Know How - To Choose a Barbecue? - Legends Landscape Supply Inc.
Do You Know How to Choose a Grill? Welcome to the first instalment of Legends Landscape Supply’s “Do You Know How” series! Just as the name implies, the “Do You Know How” series will feature easy-to-follow advice on how to accomplish DIY landscaping and gardening projects of all kinds. Why launch the “Do You Know How” series? In addition to providing you with a great selection of landscaping products and helpful landscape coaching, we also want to give you simple answers to common “how-to” questions we hear all the time. We certainly hope you’ll enjoy learning – and then doing – everything that will be featured in our “Do You Know How” series. And please, if you have any “how-to” tips or tricks you want to share, please feel free to share them with us. First up in the “Do You Know How” series: choosing a grill. The great debate: Gas or charcoal? Getting that smoky flavour: If you love the smoky flavour that comes with grilling steaks or burgers, then you want to use a charcoal grill. Here’s the best way to look at it: the more convenient a grill is, the less smoke flavour it produces. 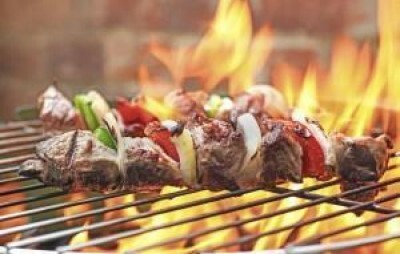 Your grilling style: If you want to grill as often as possible (for example, after work you want to throw on some steaks or chicken breasts quickly) then a gas unit may be your best option, because you can literally fire it up instantly for fast grilling. Cost: As a general rule, gas grills are more expensive than their charcoal counterparts. However, as a fuel source, charcoal is pricier than gas. Depending on how often (and how much) you grill; a charcoal cookout could cost you approximately $5.00, while a gas cookout may cost around $0.20 per cookout. Will you be cooking or grilling just for yourself? Or do you plan on hosting multiple cookouts at home all summer long with plenty of guests to feed? An average cooking space on a grill runs from approximately 600-900 square inches. From another perspective, grilling experts say that the average calculation is 100 square inches are needed per person. So, for a family of four, a 600 square inch grill should be plenty big enough. But, if you have a big family or expect to cook for a lot of people, then you probably want something bigger (like perhaps a grill island) than can accommodate more food. Included thermostat: Grilling is all about the meat, fuel and temperature, so it’s important you can get a quick glance at the internal grill temperature. Side shelving: You’ll need a sturdy, easy-access place for your “mise” (a French word meaning set-up). These are items like bowls, tongs, sauces, meat plates and other things you need for your grilled meal. Directly on the side of the BBQ is the most convenient and logical place. Grill cover: If you’re spending good money on a great outdoor appliance like a grill, it makes sense to protect your investment with a strong grill cover. Smoke box: This is metal box which you fill with damp wood chips to infuse the food with extra smoky flavour. Electric charcoal starter: A looped heating element which is plugged in and placed directly on the charcoal to help create a most consistent, long-lasting fire. Rotisserie: The rotating spit that ensures larger items (like full chickens) are cooking evenly and consistently on all-sides. When choosing a grill, take a good look at the fine details of its construction. Does it look like it’ll last for years to come? Is it functional and easy to use? Will it be able to handle heavy use, or work properly after a prolonged period of inactivity? You’ve just read about everything to look for when choosing a grill. Now we want you to put your newfound knowledge to the test when you contact us to learn more about our selection of outdoor grills. We’ll answer any questions you have about outdoor kitchens – either over the phone or in-person when you arrange to visit us. Written on Wednesday, August 19, 2015.